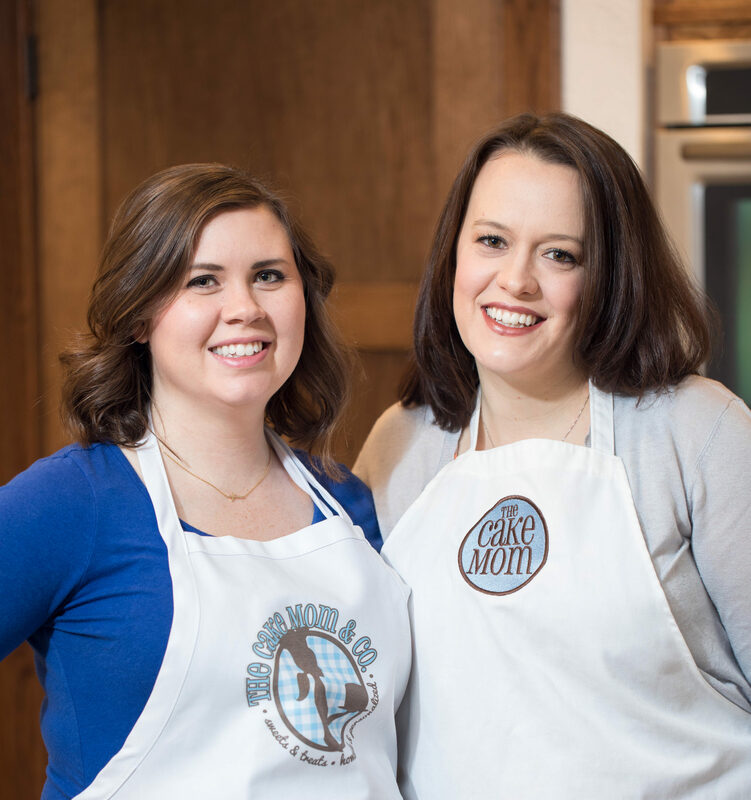 A Little Sideways – The Cake Mom & Co.
Obviously the title is a reference to the movie ‘Sideways’, which I’ve actually never seen. 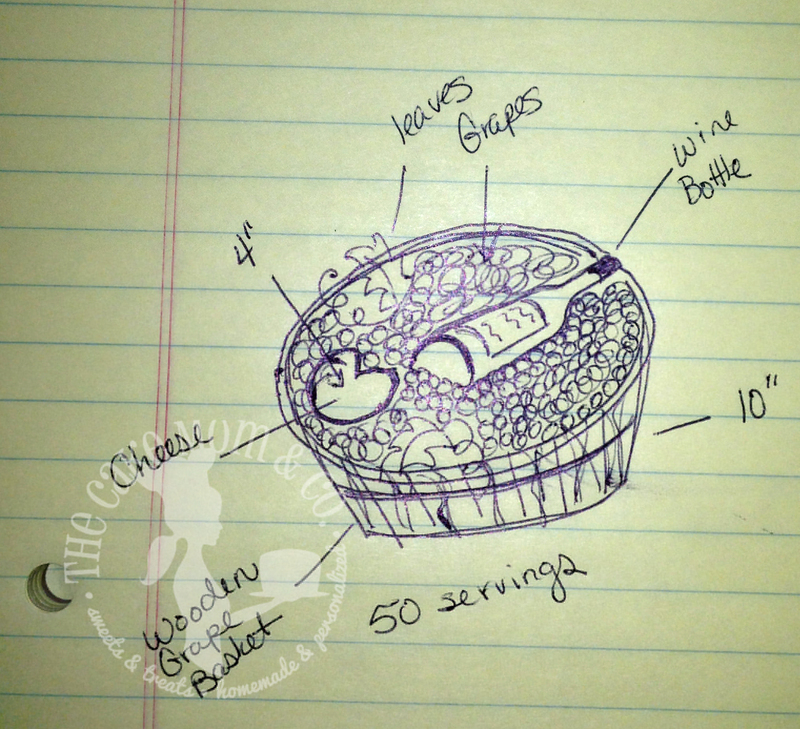 A few weeks ago I received an email with a request for a wine themed cake. 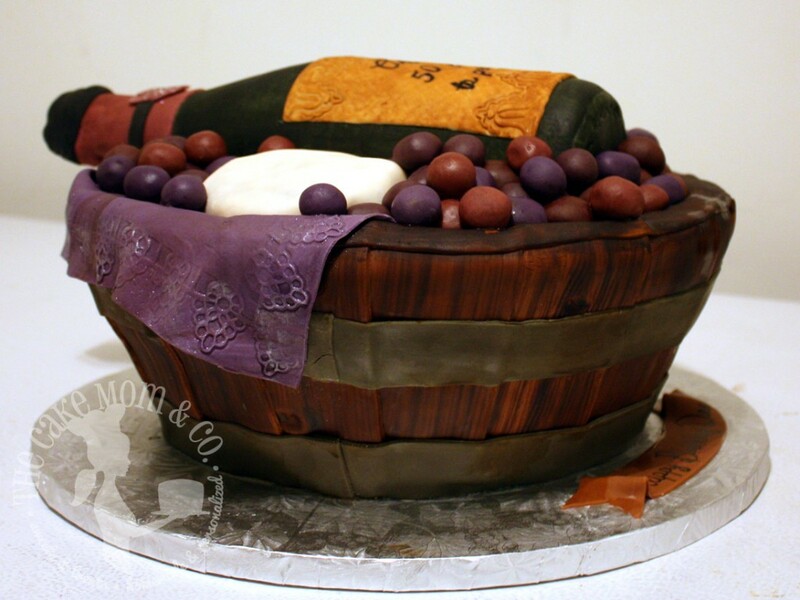 A few years ago I had a similar request from a friend to make her mother-in-law a wine cake. I was really excited to get to try and make a wine themed cake again, and this time try and take it one step further than before. 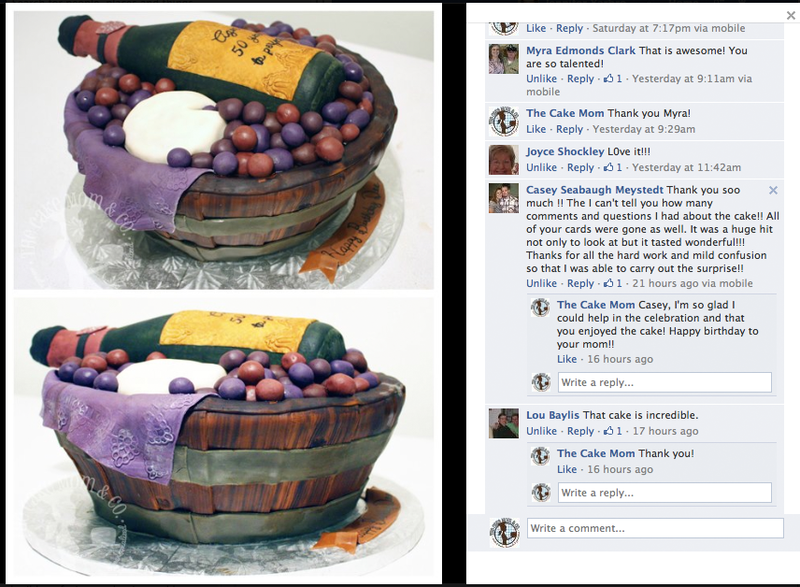 What was really exciting about this cake is that the lady didn’t send a photo. 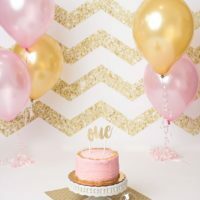 This gave me the opportunity to come up with an original cake design. So I drew this up and emailed it to her. She quickly responded and said that she loved it! As usual the cake didn’t quite end up like the sketch. I realized that in order to get the basket shape I needed to adjust the layers a bit. 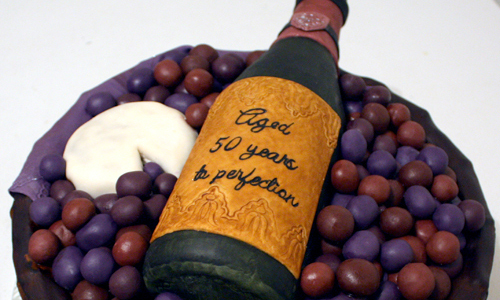 The week before the cake was due I rolled out some fondant grapes in various shades of purple and burgundy, and made the fondant wine bottle. By not procrastinating this cake out I managed to put the whole thing together in one day. 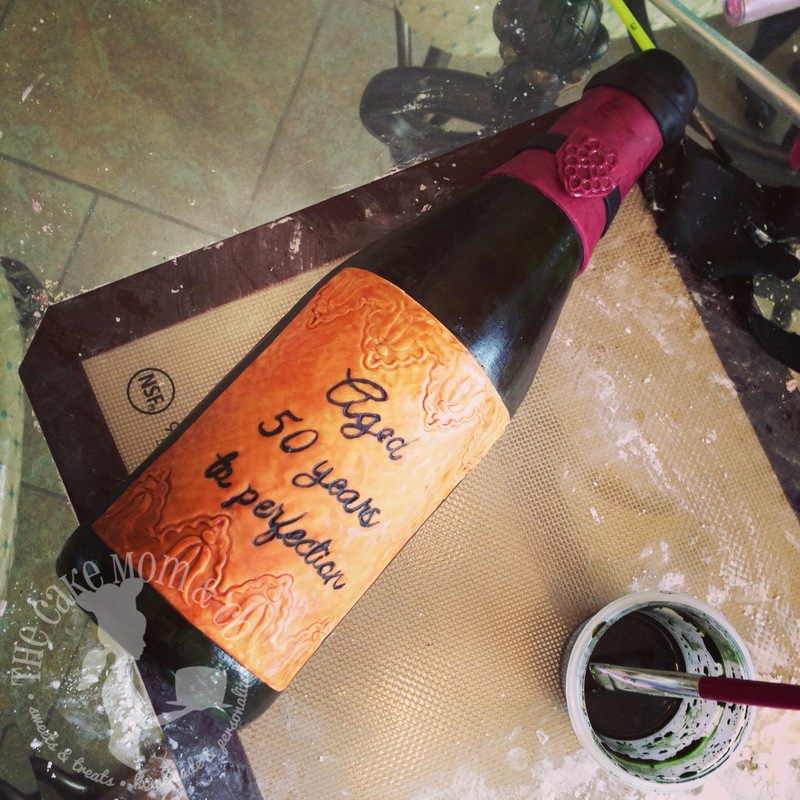 I made the wine bottle out of dark green marshmallow fondant, laid over a real wine bottle covered in cornstarch. I let this dry for several days before removing the fondant bottle from the real bottle. Then I used vodka and food coloring to paint the bottle and give it a more realistic look. Then it was just a matter of making the labels, also out of fondant. Underneath the fondant bottle I placed rice krispie treats for support. 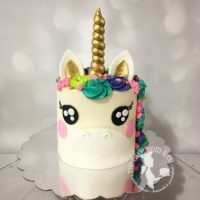 I baked and layered from bottom to top a 9.5″, 10″, 10″, and 12″ cake, then iced it in buttercream icing. I stacked the 9.5″ and the 10″ then added a 10″ board. Then I proceeded to add the top two layers. 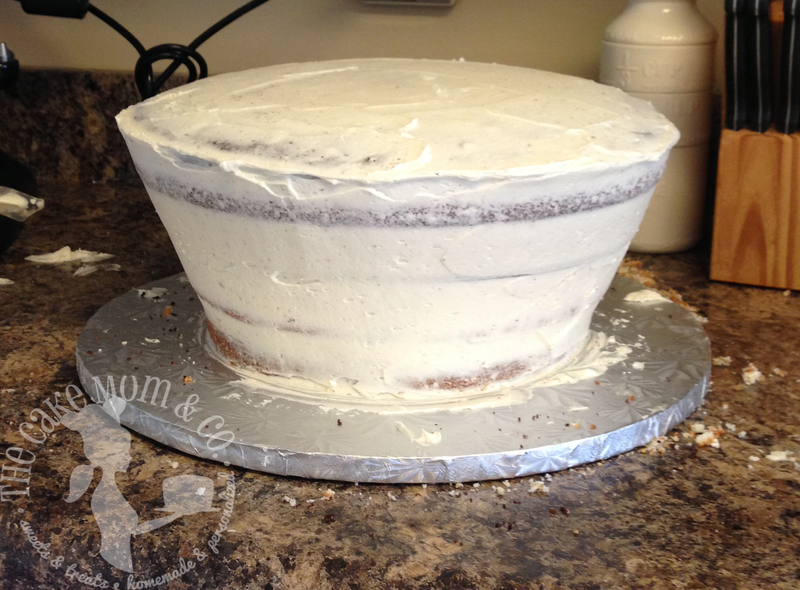 Having the 10″ board helped with support and also acted as a guide for smoothing out the icing. I’ll be honest, once the cake was iced I started to wonder just how the fondant was going to look on this cake and if it would really resemble a basket. Que the nerve induced stomach pains. 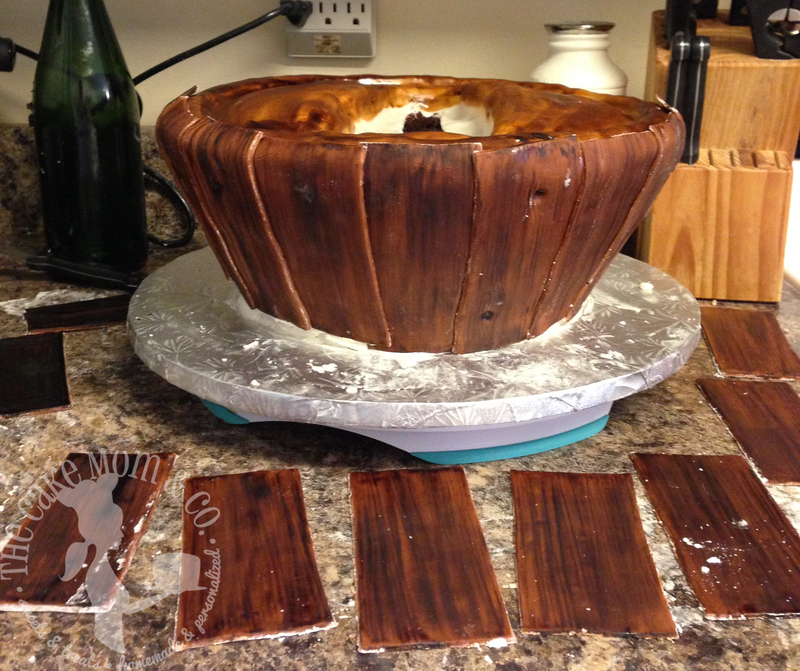 The next step was to measure the cake and roll out fondant strips of “wood”. Each 2″ strip was hand painted to resemble wood grain. After the fondant went on and the cake actually DID resemble a basket I felt so much better! 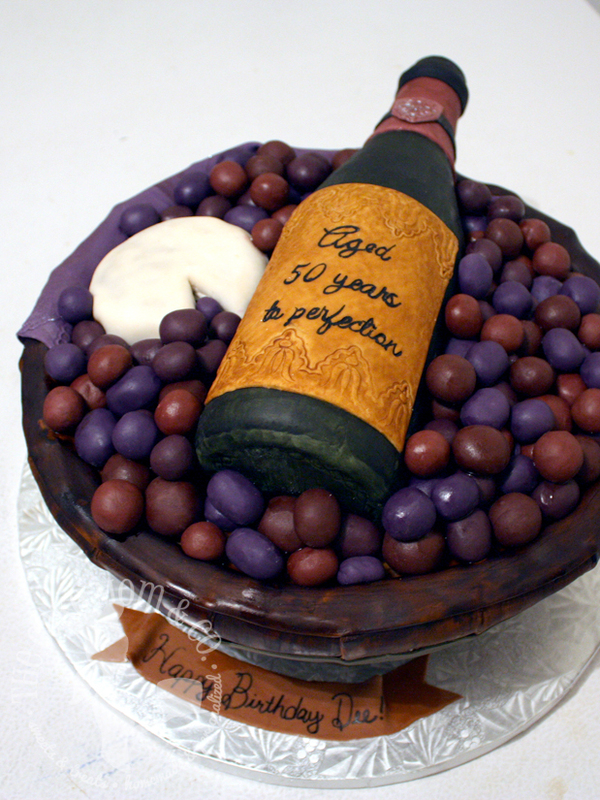 Also, if you notice in the photo I carved out some cake to make the bottle look like it was laying in the grapes. After the “wood” I applied the “metal” that you see wrapped around a basket. Then I made a blanket, added the bottle and cheese and then meticulously placed the grapes until they were perfect. By the end of this I hated cornstarch with a passion. Every time I thought I was finished and I’d dust some off, I’d have to add something else and the cornstarch would go everywhere. I also have major issues when cornstarch coats my hands. Can’t. Stand. It. By midnight I was finished and ready for bed. The next morning I had to get up, and drive the cake 2 hours to Missouri. You thought I had stomach pains before!!! 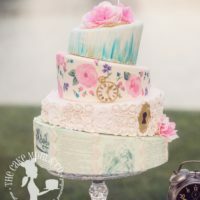 This cake was very sturdy, but anytime I have to transport cake or cupcakes I turn into an 80 year old driver and my stomach and nerves go haywire until it’s delivered and it’s like boulders have been lifted off of my shoulders. This is my most favorite cake I’ve made so far, but what really makes it worth it is satisfied customers!